Rooftop Reviews: Old Text Books - Foundations to Build On. Old Text Books - Foundations to Build On. 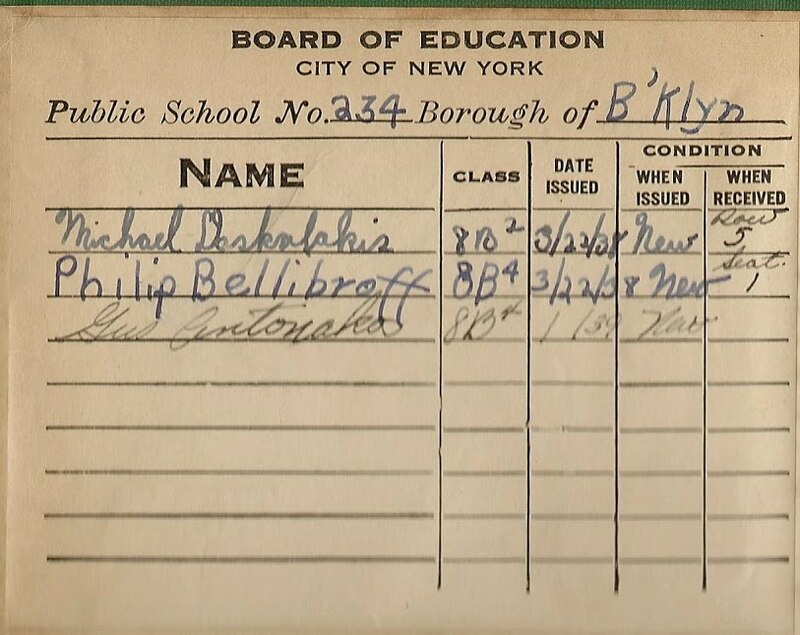 When I was in Juinor High School (W. Arthur Cunningham JHS 234 in Brooklyn, NY) there was a bookshelf in the back of my homeroom class. It was filled with older, obsolete textbooks. I used to browse through them with great interest, as they were from the years that my parents had attended school. I also have always loved old books, and so, accordingly I was very interested in what these books contained. There were all kinds of subjects represented on that shelf; science, literature, history and math all come to mind. 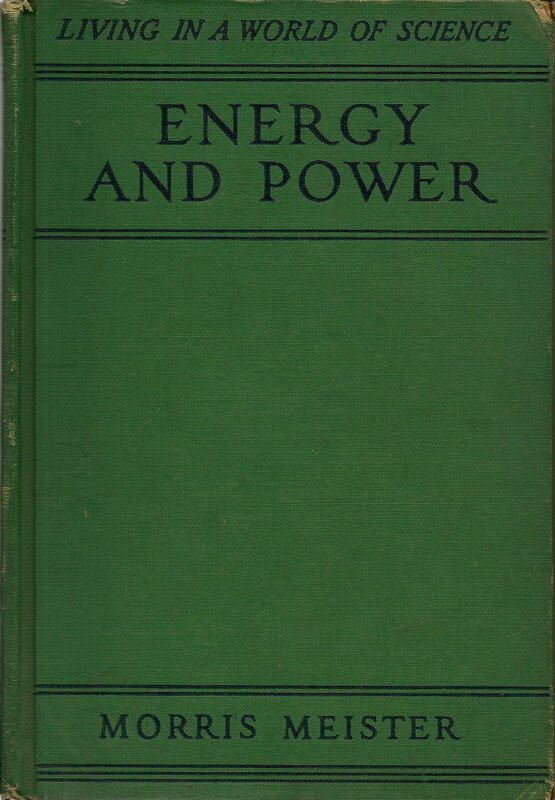 But the book that held my interest the most was this little gem "Energy and Power" by Morris Meister. 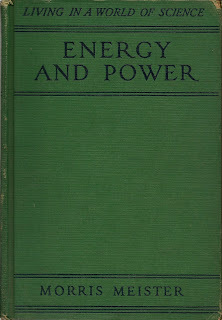 The copyright date is 1930, with a second printing in 1935. Inside the front cover there is one of those book stickers that we used to place inside the front cover to identify the owner of the book. This made the book even more desireable to me. I was a good student in Social Studies, History and English. Anything which allowed my mind to wander was a welcome respite to the tedium of the classroom. Science and Math were my two worst subjects, which is kind of funny when you consider that I went on to become a Navigator aboard ships at sea, a position steeped heavily in my two worst subjects. Even more suprising, at least to me, was that I was good at it! And this little book had a little something to do with it. While not paying attention in class one day, well, one day might be short changing myself, I came across this book and realized that it was old enough to contain all the basic information that I lacked in my understanding of all things mechanical. So, I took it home to read. And I never took it back. I've never felt badly about it, mainly because those books were destined for the trash and had been out of use for several years. I had to blow the dust off the book before I read it. The book covers all manner of scientific subjects, among them are; Sources and Transmission of Light, Reflection and Refraction of Light, Cameras and Photography, Projection Lanterns and Motion Pictures, Color, Gravity, Friction, Inertia, Engines and Automobiles. These were all subjects for which I held very little, if any, interest. This was mainly because all of the basic information on these subjects was missing from the newer textbooks. They assumed that we knew these things. They were, in my case, wrong. And so this book became my friend. From this little book, about 241 pages, I have learned all of the basic principles of science and the little bit of automobile mechanics that I know. I have evn used this book to help me figure out how to explain stuff to my kids while they were growing up and in school. 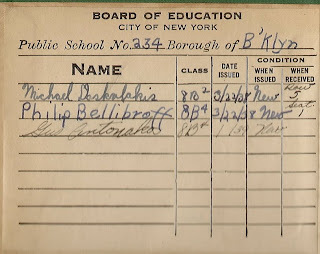 When is a book too old? I don't think they ever really age. The information contained in almost every book is timeless in some respect. And this book is even more important now, when everything is so complicated that you can sometimes feel overwhelmed and underinformed. That's when I turn to my small, but potent, collection of outdated textbooks. I even have two books from my Mom and her time at James Madison High School. One is H.G. Wells', "The Outline of History",copyright 1931, and the other is Bassetts' "Short History of the United States", copyright 1921. Both books have been invaluable to me when trying to unravel the history of the Middle East, or even something as contemporary as the roots of the Vietnam War. All books are sacred, they all contain something that was worth writing down. But as our knowledge continues to grow, it often becomes necessary to omit, or condense, the things we already take for granted, in order to include the latest information. When that happens, some of the basics, and the understandings that go with them, are often glossed over. It is then that I turn to my older books to solidify the foundation of the subject I am reading about. He Ain't Heavy - And NOT My Brother! Martin Luther King and "The Dream." Demonizing Twain - When PC Goes Too Far.